Three horses which have each provided us with exciting Group race wins in 2015 will be heading back to the trials at Royal Randwick on Friday morning as the next step in their Autumn Carnival preparations. First to step out on Friday will be Charlie Boy in heat 2. Last autumn, Charlie Boy gave his ownership group some huge thrills by winning the Group 3 BRC Sprint before following it up with a very close (0.2 of a length) second in the Group 1 Doomben 10,000 to Boban. Next to trial in heat 3 will be Triple Crown ‘warhorse’ Hot Snitzel. Now a seven-year-old, this gelding just keeps on giving. 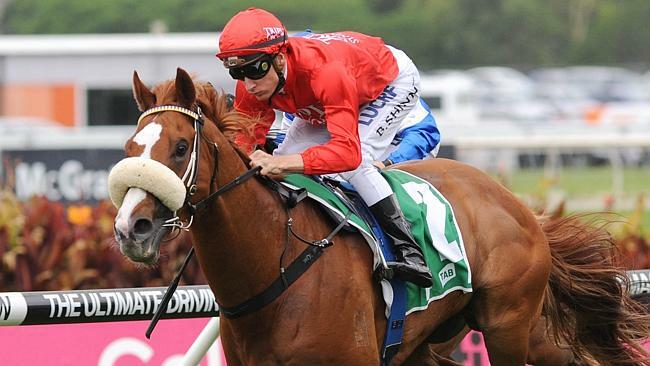 From running in the Group 1 Golden Slipper at two to winning the Group 1 BTC Cup as a six-year-old, this horse just continues to deliver the goods. His most recent performance at Flemington in the Spring saw him run second in the Group 2 Linlithgow Stakes, making his run with our third and final trialler for Friday, Dothraki, who finished just behind Hot Snitzel in third place. Trialing in heat 5 is Dothraki, a horse who also gave his owners some massive thrills in his first ever preparation as a two-year-old by running in the Group 1 Golden Slipper, having placed in both the Group 3 Skyline Stakes and Group 2 Pago Pago Stakes. He is a very honest horse having only run out of the top three placings seven times from 26 starts, winning six of them! Most recently, Dothraki won first-up in the Listed Lightening Stakes at Royal Randwick before heading to Melbourne and running third in the Group 2 Linlithgow Stakes, as mentioned above. Reports from the Peter and Paul Snowden stable in Randwick have been positive and we couldn’t be happier at the prospect of seeing the talented horses back at the track and are particularly excited about the upcoming Autumn Carnival of racing here in Sydney.